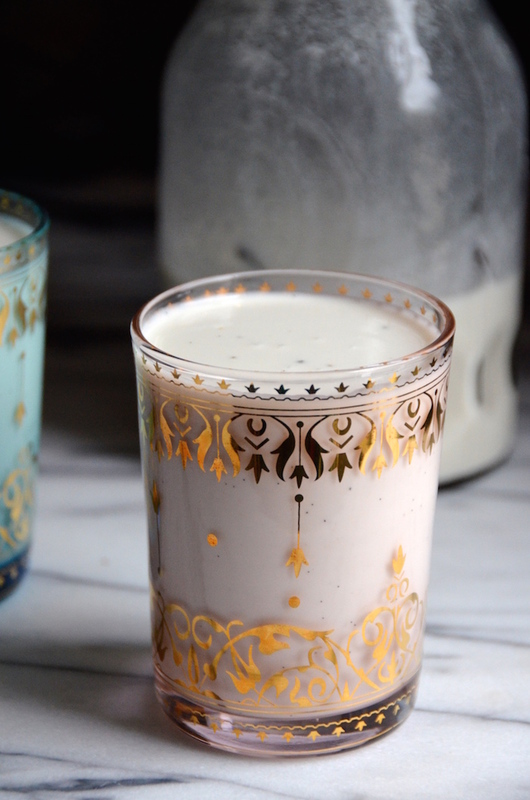 I'm not vegan (you guys totally know that already), but I love non-dairy milks like this DIY Vanilla Bean Cashew Milk. 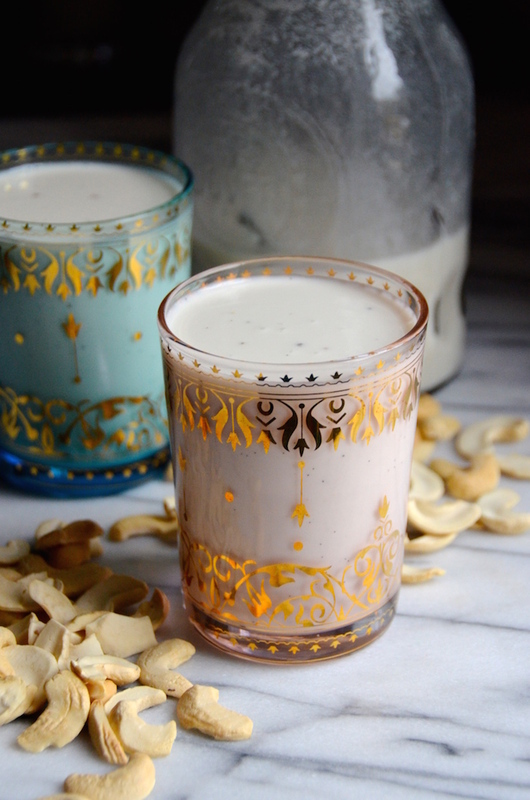 Creamy nut milks, especially homemade ones, are absolutely lovely. I enjoy a chilled glass over ice in the morning, or something warm in the evening, spiked with a bit of rum and cinnamon. On days when I'm on the go and don't have time to stop for a proper meal, a glass of the creamy protein-rich drink is a perfect snack. You can easily buy non-dairy milks at just about any grocery store or market, but the homemade ones are so much better for drinking on their own. They're creamy and rich and have the loveliest nutty flavor. They're the best for making smoothies, dairy-free chocolate milk or iced coffee drinks, though note that they'll separate if you add to hot coffee. All nut milks are made following pretty much the same process, but I think cashew milk is the best of all because the soft nut purees almost entirely into the water, which means you don't lose out on any fiber. It makes it a bit thicker than your standard almond or soy milk. And cashews have a lovely natural sweetness that makes the whole thing super luscious. You'll notice that the recipe requires some soaking time. There are a few reasons that this soaking step is important. The first is that soaking activates and breaks down the naturally occurring phytic acid that's in all nuts. This acid makes digestion tricky (and it's why eating too many nuts can sometimes cause an upset stomach), but soaking helps release it. Soaking also helps soften the nuts so that you can puree it into the smoothest beverage possible. 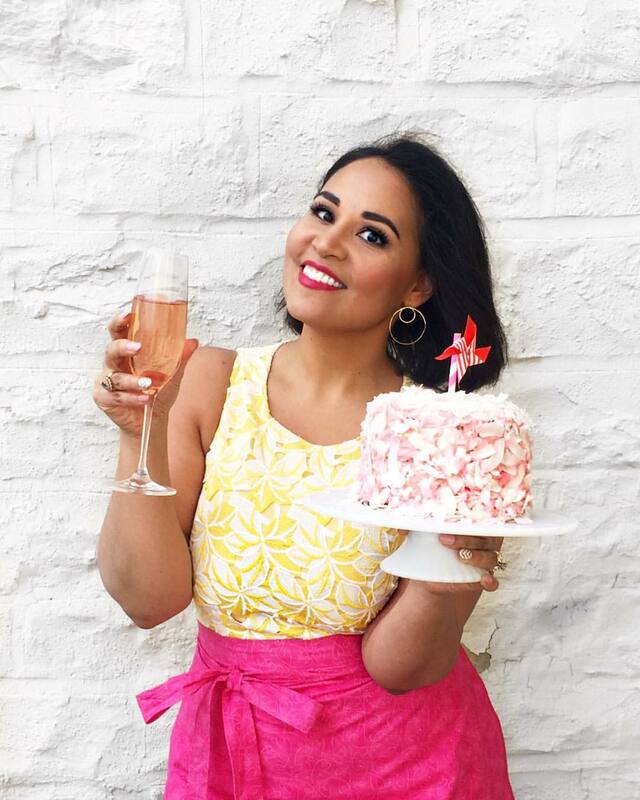 A whole vanilla bean infuses everything with a wonderful fragrance that will then make it a great base for other drinks (or for enjoying plain!). I don't sweeten my nutmilk, but you absolutely can; a bit of stevia or some honey or maple is all you need. I recommend starting with just a pinch and adding more to taste. These naturally sweet cashews really don't need much! If you love this one, also check out my DIY Pecan Milk and my Chocolate-Hazelnut Milk, which is like the nut milk version of Nutella! Combine cashews, 3 cups filtered water, and 1/2 teaspoon sea salt in a shallow container. Make sure all nuts are covered (add more water if necessary). Soak at room cool temperature for at least 6 hours, or overnight. 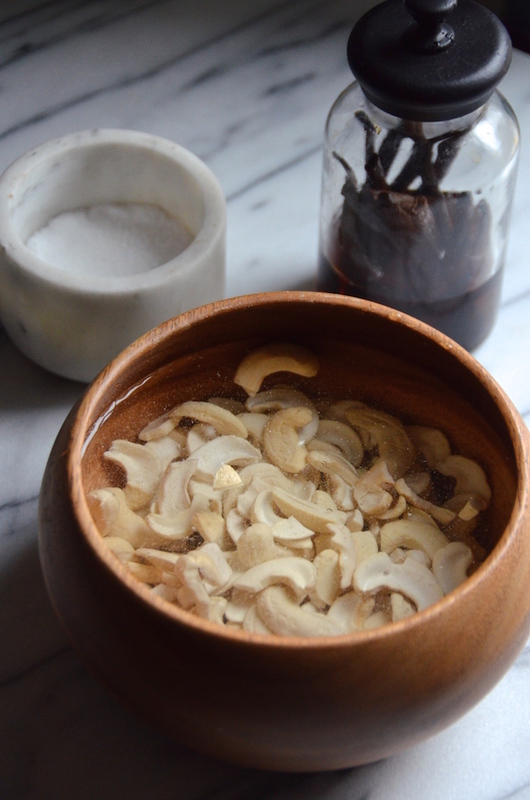 Drain cashews well and give a quick rinse. Add to a blender along with 5 cups filtered water and a small pinch of sea salt (about 1/4 teaspoon). Puree at least 5 minutes or until very smooth. Pour through a fine mesh sieve into a large glass mason jar or carafe with a lid. There shouldn't be too many solids, but discard anything that doesn't go through. Drop the split vanilla bean in, cover and chill at least 4 hours. Shake before serving. (The vanilla flavor will get stronger the longer it infuses.) Keep refrigerated; keeps well about 5 days.